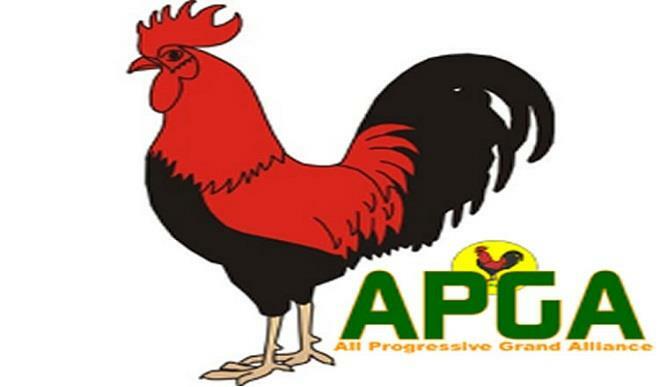 The candidate of the All Progressives Grand Alliance (APGA) in the Anambra Central senatorial re-run scheduled for January 13, 2018, Chief Victor Umeh, yesterday, picked holes in the judgement of an Abuja High Court which ordered that a certificate of return be given to Chief Obiora Okonkwo. He said Okonkwo could not reap from where he did not sow, adding that there was no certificate to issue as an appeal court sitting in Abuja had ordered the withdrawal of that certificate. Addressing a crowd during his campaign flag off at Ekwueme square, Awka, Umeh assured that the election would be conducted by the Independent National Electoral Commission (INEC) as scheduled. He described the action of Obiora as nothing less than “targeting to kill the ‘War General so as to cripple the opponent”. “The Supreme Court had earlier upheld the appeal court judgement which earlier held that the Peoples Democratic Party (PDP) did not have valid party primaries and barred the party from fielding a candidate in the rerun of senatorial election,” he said. The rally, graced by the state governor, Willie Obiano, and Dim Emelia Odumegwu Ojukwu, Amb. Bianca Ojukwu, Abia governorship candidate of APGA, Alex Oti, and other stalwarts, witnessed the decamping of Anayo Nnebe, a member of the House of Representatives, and Yul Edochi, the DPC gubernatorial candidate to APGA.